These are perfect eyeglasses Prada PR 16MV frames for men who don't want to compromise their style for durability - they're fashion accessories for men who like fashion and practicality. If you have shorter nose, you might benefit from this pair of high bridge glasses to accentuate your features and add more balance to your face. No nose pads on your Prada PR 16MV eyeglasses means you'll be able to adjust your glasses to your face despite its size and shape. 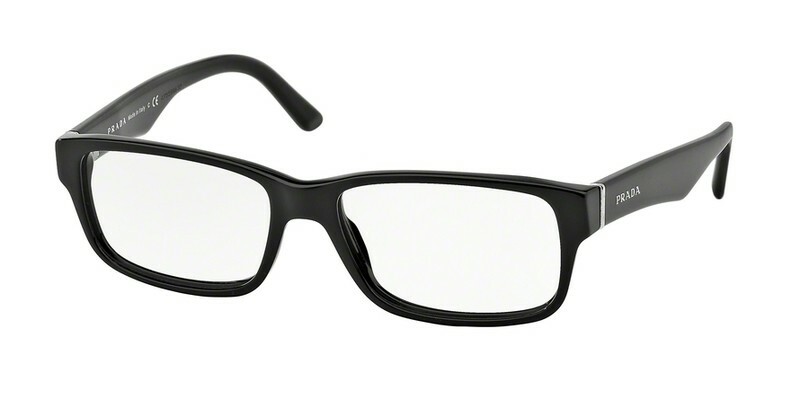 These rectangular shaped glasses are ideal for people who want to add a look of seriousness to their everyday image. If you've got an oval-shaped or rounder face, these Prada PR 16MV glasses are highly recommended as they help bring more of a balance to your face. Whatever it is you love doing in life these casual frames will suit you. Whether it's hanging out with your friends, going to the bar for a couple of drinks or cruising in your car, this eyewear style is bound to fit your lifestyle. Comfort is key when choosing the right pair of glasses for you. For maximum comfort, opt for a pair of Prada PR 16MV glasses with high temples that conveniently hook over the ears for extra security. I searched for days for the best price and you had everyone else beat easily. good deal n good service !